Starting off today, Metal Hammer Germany is streaming Rat King (out October 7th/10th in Europe), the second album of Swedish extreme death metallers AS YOU DROWN, in its entirety via their website! The album stream is live from the 3rd of October until the 10th of October! Surf over to Metal Hammer at THIS location to check out the album! 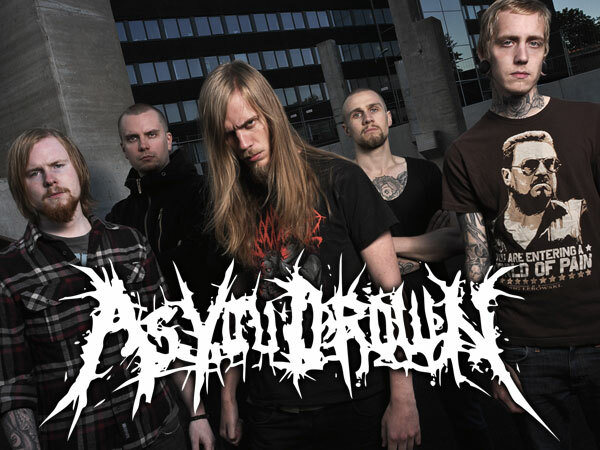 AS YOU DROWN formed in Borås, Sweden in 2003. Inspired by the speed and relentless brutality of contemporary death metal and atmosphere and straightforward structure of the genres predecessors. Reflection, the debut album from AS YOU DROWN was recorded at AYD Studio in Borås; mixed and mastered by Christian Silver at Studio Mega in Varberg Sweden (THE CROWN, OLD MAN’S CHILD), and released worldwide via Metal Blade Records in July 2009. Reflection received critical acclaim from underground publications worldwide, with special attention given to the band’s ability to appeal to a broad extreme metal audience. In spring 2010, AS YOU DROWN hit the road with VADER on the Blitzkrieg 5 Europe and UK tour as the direct support artist in addition to appearing at several underground festivals in Europe during the summer of that same year. Starting today, GunShyAssassin.com is premiering the track Your Loyal Betrayer from Swedish extreme death metallers AS YOU DROWN’s forthcoming album Rat King (out 10/11 in North America). Check out Your Loyal Betrayer HERE. The successor to the bands 2009 debut Reflection, Rat King was recorded at the bands own AYD Studio in Borås and was mixed and mastered by Plec (WATAIN, SCAR SYMMETRY, MISERATION) at Panic Room Studio in Skövde in July 2011. Lyrically, the album explores the medieval German folk phenomena of rat kings, which were associated with plagues that devastated the European continent. AS YOU DROWN formed in Borås, Sweden in 2003. Inspired by the speed and relentless brutality of contemporary death metal and atmosphere and straightforward structure of the genres’ predecessors. Reflection, the debut album from AS YOU DROWN was recorded at AYD Studio in Borås; mixed and mastered by Christian Silver at Studio Mega in Varberg Sweden (THE CROWN, OLD MAN’S CHILD), and released worldwide via Metal Blade Records in July 2009. Reflection received critical acclaim from underground publications worldwide, with special attention given to the band’s ability to appeal to a broad extreme metal audience. In spring 2010, AS YOU DROWN hit the road with VADER on the Blitzkrieg 5 Europe and UK tour as the direct support artist in addition to appearing at several underground festivals in Europe during the summer of that same year. 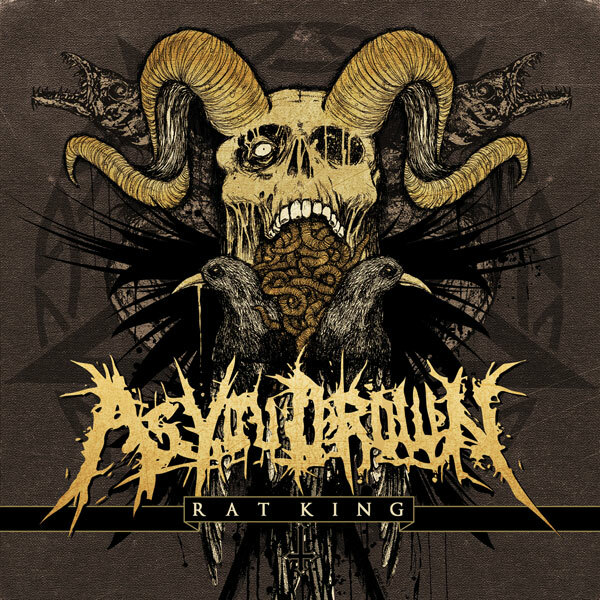 Swedish extreme death metallers AS YOU DROWN have announced Rat King as the title of their upcoming sophomore album to be released October 7/10 worldwide via Metal Blade Records. The successor to the bands 2009 debut Reflection, Rat King was recorded at the bands own AYD Studio in Borås and was mixed and mastered by Plec (WATAIN, SCAR SYMMETRY, MISERATION) at Panic Room Studio in Skövde in July 2011. Lyrically, the album explores the medieval German folk phenomena of rat kings, which were associated with plagues that devastated the European continent. Surf now over to http://www.metalblade.com/asyoudrown to check out the pre-order information and the first single You Should Be Paranoid! Make sure to play on maximum volume! AS YOU DROWN formed in Borås, Sweden in 2003. Inspired by the speed and relentless brutality of contemporary death metal and atmosphere and straightforward structure of the genres´ predecessors. Reflection, the debut album from AS YOU DROWN was recorded at AYD Studio in Borås; mixed and mastered by Christian Silver at Studio Mega in Varberg Sweden (THE CROWN, OLD MAN’S CHILD), and released worldwide via Metal Blade Records in July 2009. Reflection received critical acclaim from underground publications worldwide, with special attention given to the band’s ability to appeal to a broad extreme metal audience. 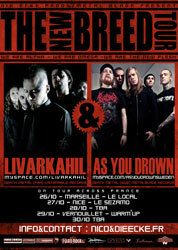 In spring 2010, AS YOU DROWN hit the road with VADER on the Blitzkrieg 5 Europe and UK tour as the direct support artist in addition to appearing at several underground festivals in Europe during the summer of that same year. Rat King will be released via Metal Blade Records in Europe on October 7th/10th!